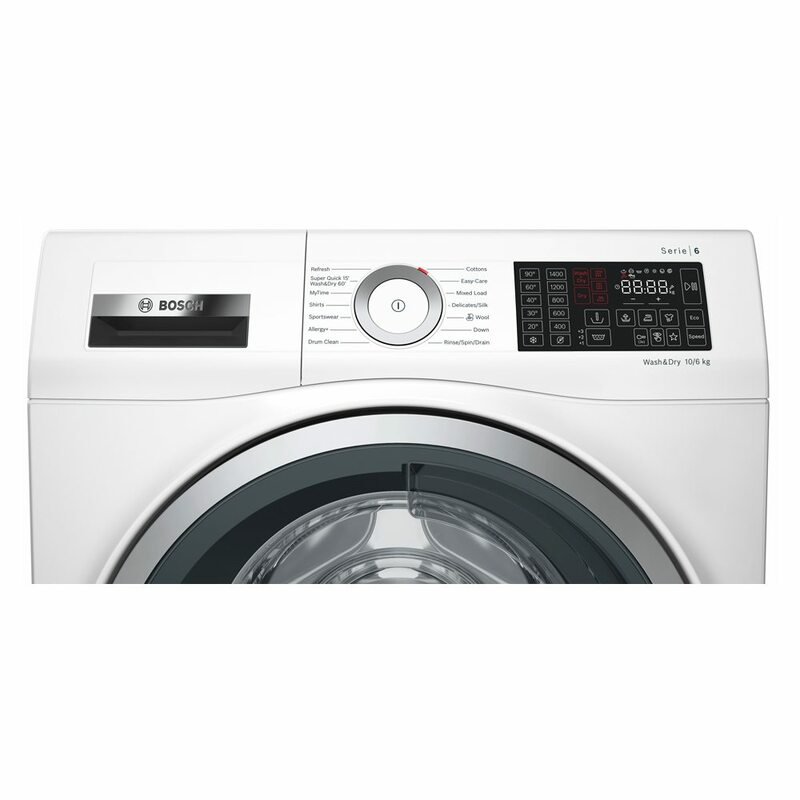 This superb washer dryer from Bosch will make tackling your laundry feel like less of a chore. 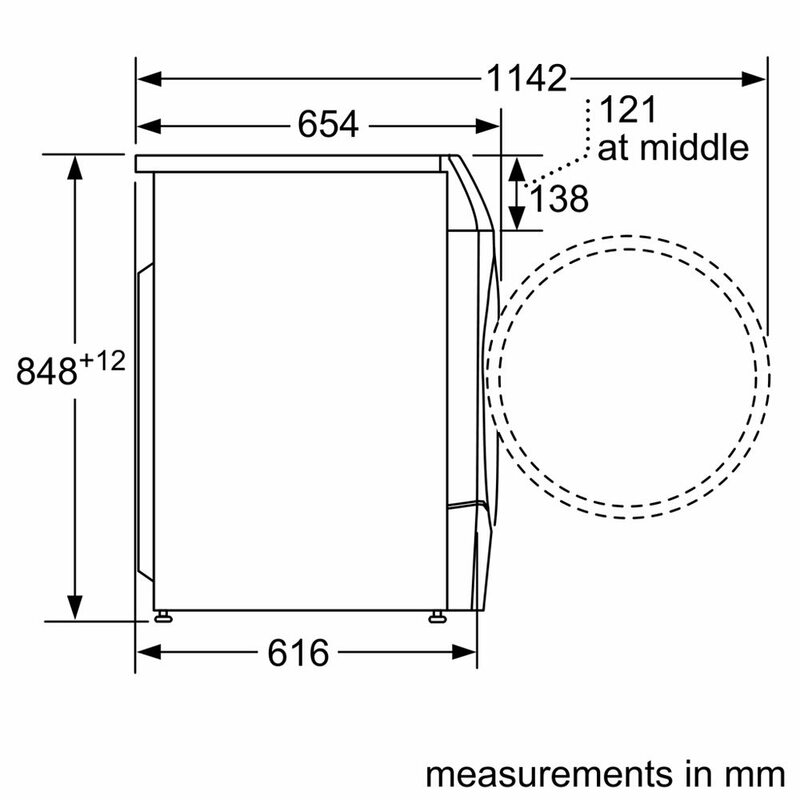 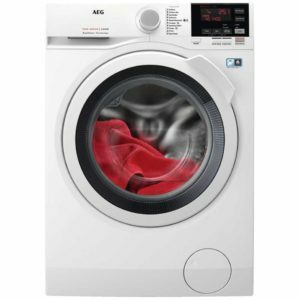 Its large 10kg drum makes it an ideal choice for large households and with an A energy efficiency rating it will be much kinder on your pocket too! 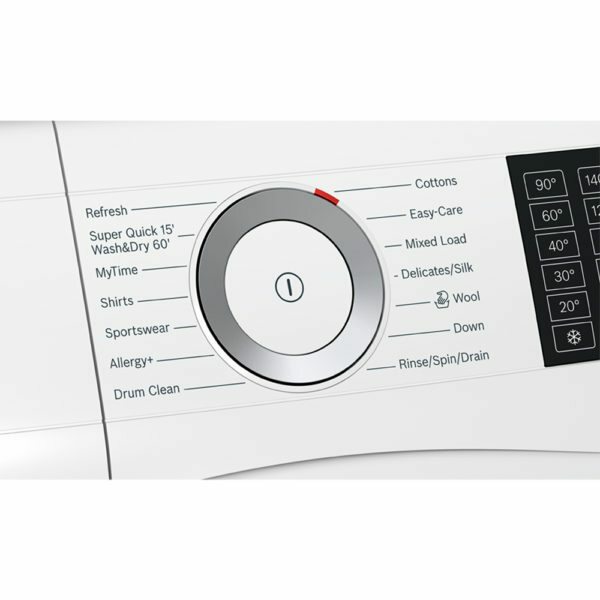 It boasts many great Bosch features we love such as VarioPerfect, SpeedPerfect, EcoPerfect, AquaSpa and Soft Surge Drum, along with an allergy programme, one for extra hygiene and an Auto Dry function. 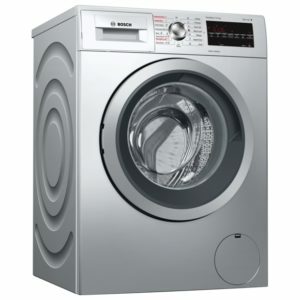 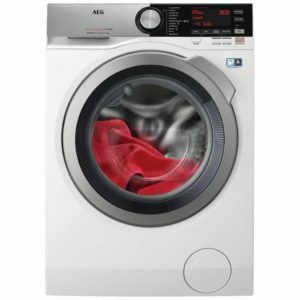 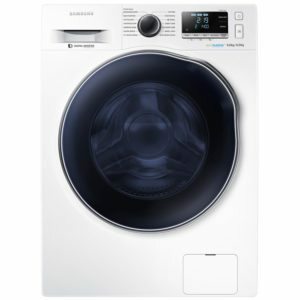 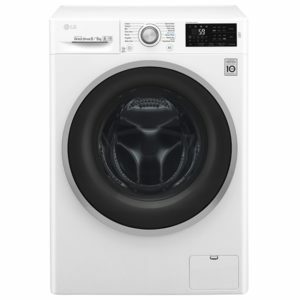 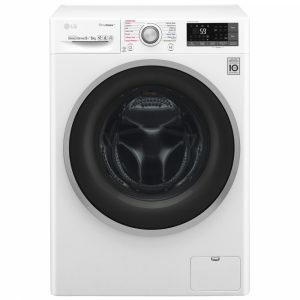 The intelligent AutoDry feature uses sensors inside the drum to measure moisture levels, so the cycle will automatically end when your clothes are dry, so no more over or under drying your clothing. 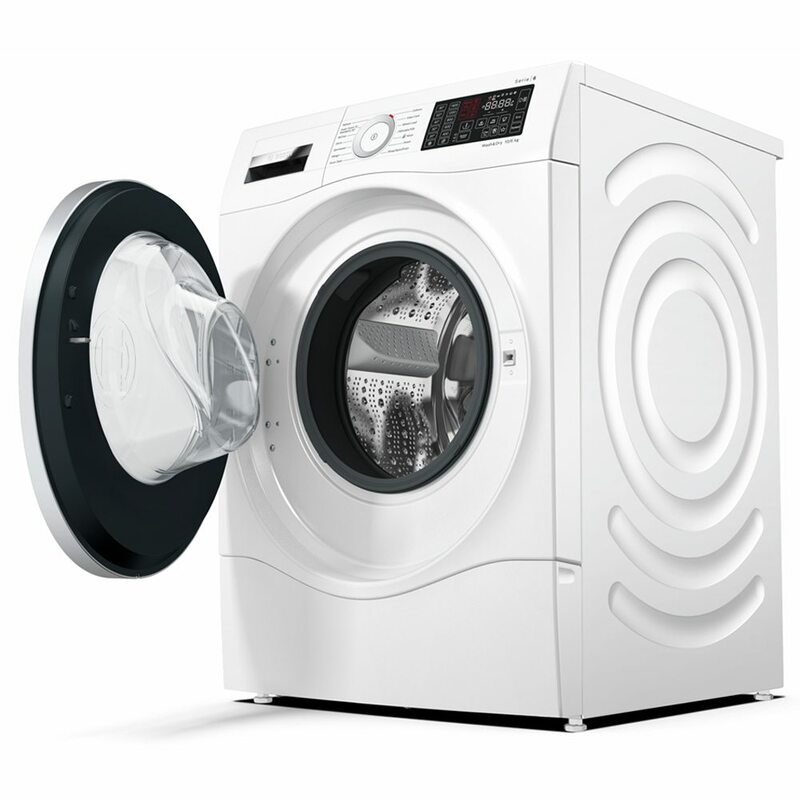 This model also has a fantastic EcoSilence Drive, which has less moving parts than a traditional motor, ensuring a much more durable and quieter machine once in use. 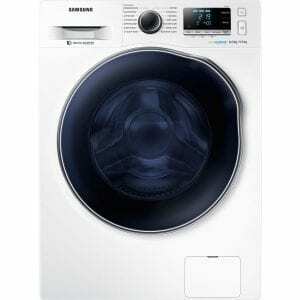 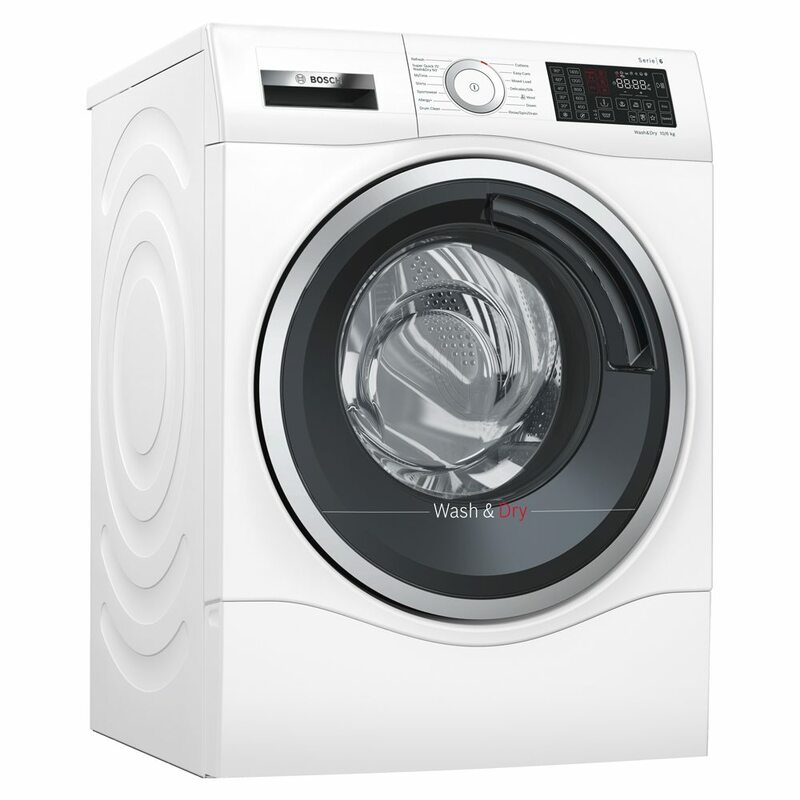 Finished in white, this washer dryer makes the perfect addition to any family home.